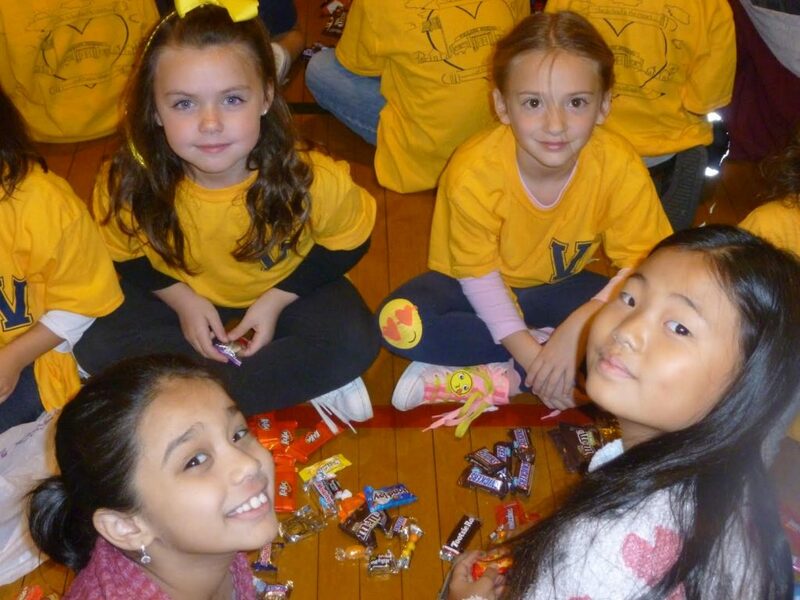 For more than 10 years, the students of Village Elementary School in Syosset have been donating their leftover, unopened Halloween candy to numerous charitable organizations to benefit children who are less fortunate. Student council members helped to organize this year’s Operation Sweet Tooth event in the school gymnasium, sorting candy for distribution to local agencies that support children who are unable to enjoy the activities of Halloween due to life circumstance or illness. Ten barrels were filled with the candy provided by the very generous Village children and their families, and they have since been distributed to organizations such as AHRC, Angela’s House and Mercy First. For the second consecutive year, primary grade students joined in the effort, working together to help sort candy with their upper-grade book buddies. Village students who were unable to participate in the sort, due to their own allergies or choice, made beautiful cards to accompany the treasure trove of candy. As part of Operation Sweet Tooth, students participate in mathematical sorting, counting, grouping and graphing activities and estimate the amounts of candy collected. Special thanks to Eileen Hoffman and Wendy Tepper for organizing the activity and the Village School PTA’s Community Outreach committee for helping to distribute the candy. Photo Caption: Village Elementary School students sort candy for distribution to local agencies that support children who were unable to go trick-or-treating due to life circumstance or illness.